Welcome to my Throwback by Thursday! You may be looking at my card and saying that this is a new project. Well....it is. I am call this Throwback Thursday because I am using old products that may not be available any more or products that I have had for years. 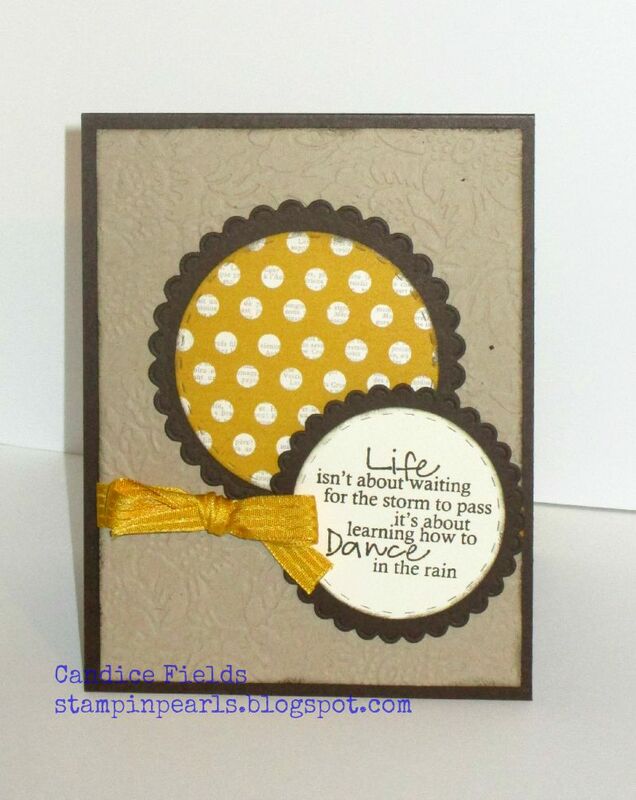 Today's cards features the Rain or Shine stamp set from Pink by Design. Unfortunately, the company is no longer in business, but I still love the stamps that I have. It's sad because I really loved their stamps. Thank you for taking time to visit and see back soon!